The World Is Your Stage. Own It. Great speaking does not come easy. But even the wallflowers among us can’t avoid speaking forever. 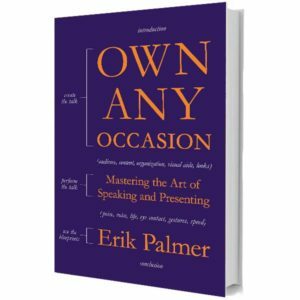 In Own Any Occasion, speaker and educator Erik Palmer taps into his vast experience to simplify the process of extraordinary speaking, whether you’re giving a wedding toast or preparing for a one-on-one sales call. His approach is equal parts preparation and delivery: Never speak unless you have something worth saying, and never let a poor performance diminish a good message. In 11 steps, Palmer shows readers how to craft the perfect message and captivate audiences with exceptional delivery, no matter the circumstance. He demonstrates that the steps to impress when you meet your in-laws for the first time are the same ones that will help you succeed in front of an auditorium full of executives. Whether your audience is large or small, your message personal or professional, Palmer’s easy system will help you become the best speaker you can be in any situation. 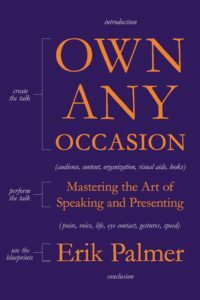 Own Any Occasion is for anyone who wants to master the art of speaking well, from first-time presenters to seasoned pros looking for a new process. Give yourself the tools to impress every listener and develop a more confident you. A large part of our everyday communication involves argumentation and reasoning—for example, when we want to persuade others, make good purchasing decisions, or analyze the messages we receive from advertisers and politicians. But how well do we prepare students for these tasks? Can they critically evaluate a speaker’s point of view? Understand rhetorical devices? Apply logic? Build an effective argument, whether written or spoken? 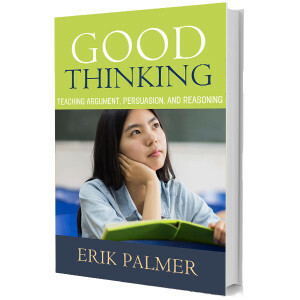 In his new book, Good Thinking, Erik Palmer shows teachers of all subject matters how to transform the activities they already use into openings for improving student thinking. 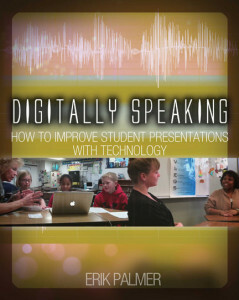 Building on his previous work in Well Spoken (Stenhouse, 2011) and Digitally Speaking (Stenhouse, 2014), he reveals how all students, not just those in advanced classes, can begin developing sophisticated reasoning skills that will improve their oral and written communications. 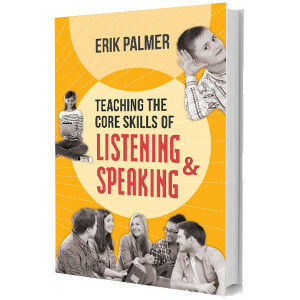 Blending theory with practice, Palmer shares a wide range of classroom-tested lessons, including ways to understand argument in paintings and images, address ad hominem attacks using a traveling debate, create a class comedy club, write syllogisms, analyze character and plot development, and teach logic through a class Booger Patrol. 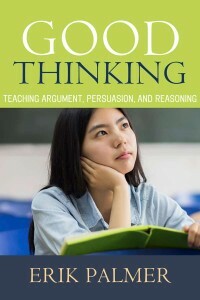 He explains complex concepts in simple, practical language that gives teachers a deft understanding of the principles of good arguments, proper use of evidence, persuasive techniques, and rhetorical tricks. With State Standards emphasizing listening and speaking across the curriculum, these long-neglected language arts are regaining a place in schools. For teachers, this means reexamining practices and rethinking expectations. 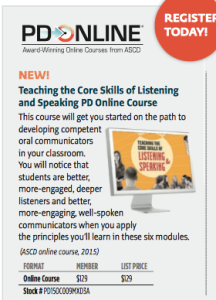 How much do we know about teaching listening and speaking as the complex communication skills they are? How do we teach students to discuss appropriately, integrate and understand the mountains of information they receive, and express themselves clearly and effectively? 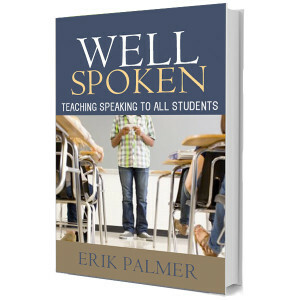 With due respect to reading and writing, we do most of our communicating in the classroom and in life through listening and speaking. 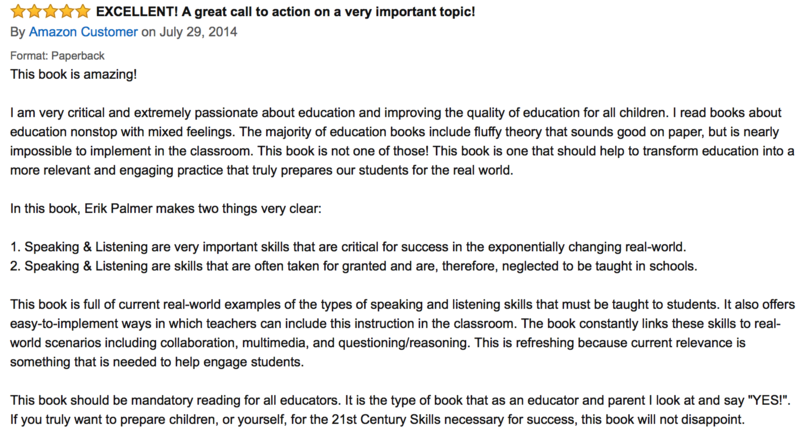 Filled with examples and specific activities targeted to variety of subjects and grade levels, this book is an essential resource for all teachers interested in helping students acquire core skills that cross the content areas and support long-term success. 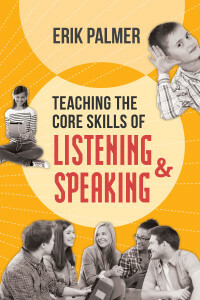 Find out more about Teaching the Core Skills of Listening & Speaking. 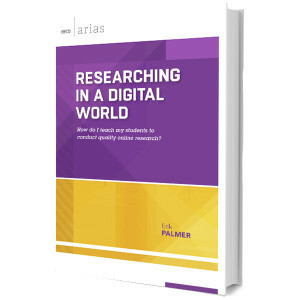 As digital natives, our students are certainly at home online, but how much do they know about using the Internet as a research tool? Do they know how to ask the right questions, find the best and most credible resources, evaluate the facts they come across, and avoid plagiarism and copyright violations when they incorporate others work into their own? For too many, the answer is no and research projects intended to engage students in independent learning wind up wasting time or creating incomplete or faulty understandings. In this step-by-step guide, classroom veteran Erik Palmer explains how to teach students at all grade levels to conduct deeper, smarter, and more responsible research in an online environment. You ll find practical lesson ideas for every stage of the research process and dozens of tips and strategies that will build your students Internet literacy, establish valuable academic habits, and foster skills for lifelong learning. 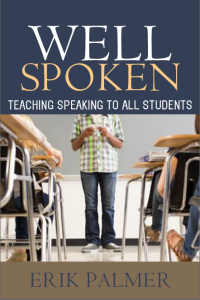 All teachers at all grade levels and in all subject areas assign speaking activities — for example, read-alouds, book reports, class discussions, lab results, research presentations, and dialogues in a foreign language. 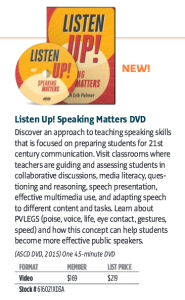 Effective communication is an essential skill in modern society, and the Common Core State Standards place particular emphasis on teaching students to deliver messages well orally and through a range of media. 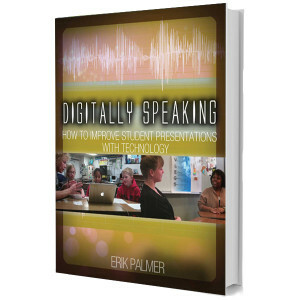 In this Read & Watch book, Erik Palmer shows teachers how to turn almost any lesson into an opportunity for students to practice creating and performing a speech with the assistance of technology. 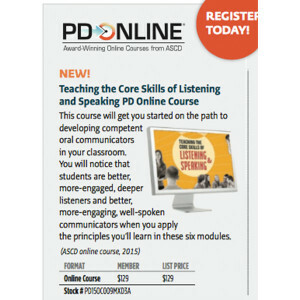 Purchase the course on the ASCD Website. 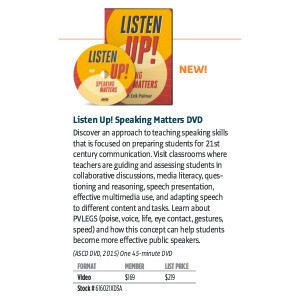 Purchase the DVD from the ASCD Website.